V For Victoria. A special campaign for an extremely special dog. 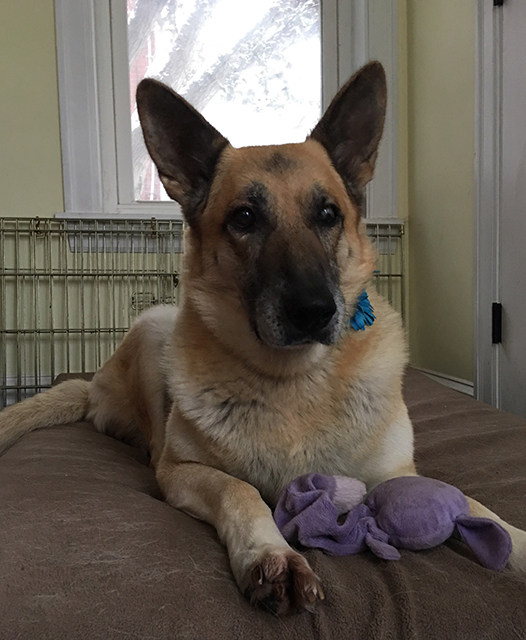 Victoria, an 11 year old German Shepherd, was rescued By Finding Shelter in 2017 from a Lancaster County, PA puppy mill. She was born at the farm and lived there for 10 years as a breeding dog. 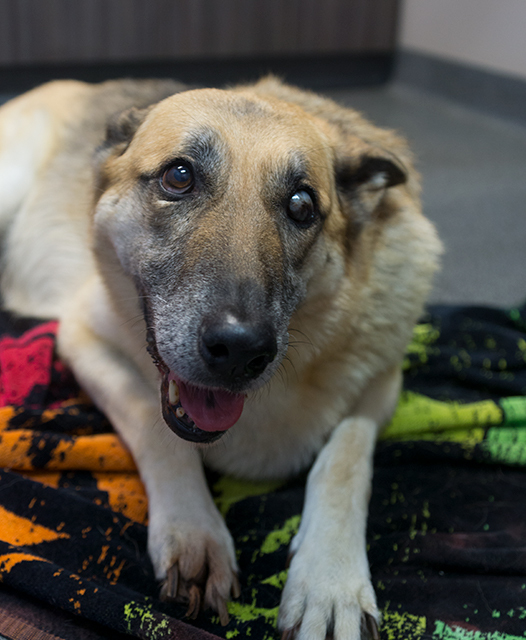 Now with her terminal diagnosis of Degenerative Myelopathy, Victoria is on hospice care for the remainder of her life which was expected to be six months to a year. V For Victoria is a campaign to get Victoria to experience the fun activities that life has to offer for dogs, all the things that she missed out on for 10 years imprisoned on the farm. She will check off some “bucket list” items just for fun as she educates humans about puppy mills and to raise funds for Finding Shelter Animal Rescue puppy mill dog rescues. She will have her adventures as long as she is physically able to enjoy them. 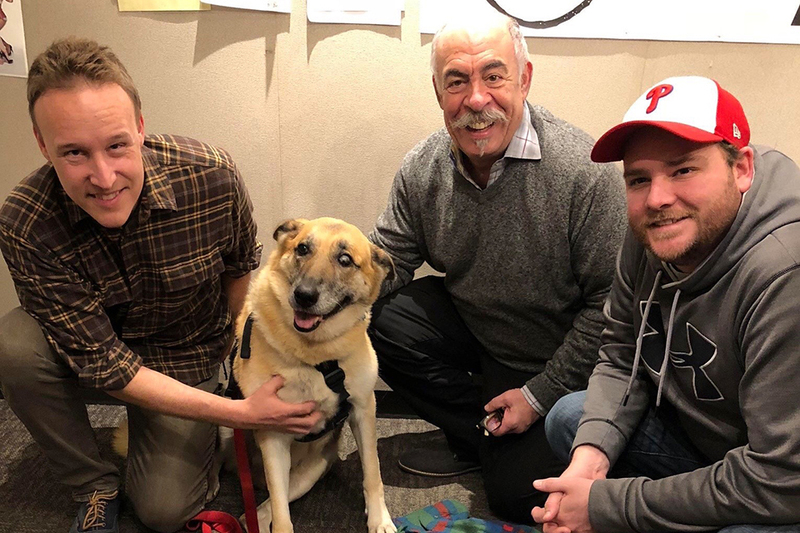 In 2019, Pennsylvania State Senators Tom Killion and Andy Dinniman introduced the Pet Retail Sales Bill and called it “Victoria’s Law.” A mirror bill in being introduced by State Representatives Jason Ortitay and Harry Readshaw. V For Victoria is not just a campaign to enrich Victoria’s life, but it is also aimed at bringing awareness to the ongoing puppy mill industry issues and atrocities. Victoria was relinquished from a legal, licensed breeding operation. Her very minimal requirements for care were legally met. The best way to stop puppy mills is to discontinue the demand for their product, their puppies. With no demand for their puppies, the puppy mills would not have consumers to keep their supply going. Ending third party sales in pet stores and over the internet would drastically reduce outlets for which the puppies can be sold, also diminishing supply. Please follow Victoria’s journey, share her adventures and message of ending puppy mills in Pennsylvania and across the United States. Please consider donating to help Finding Shelter’s puppy mill rescued dogs. 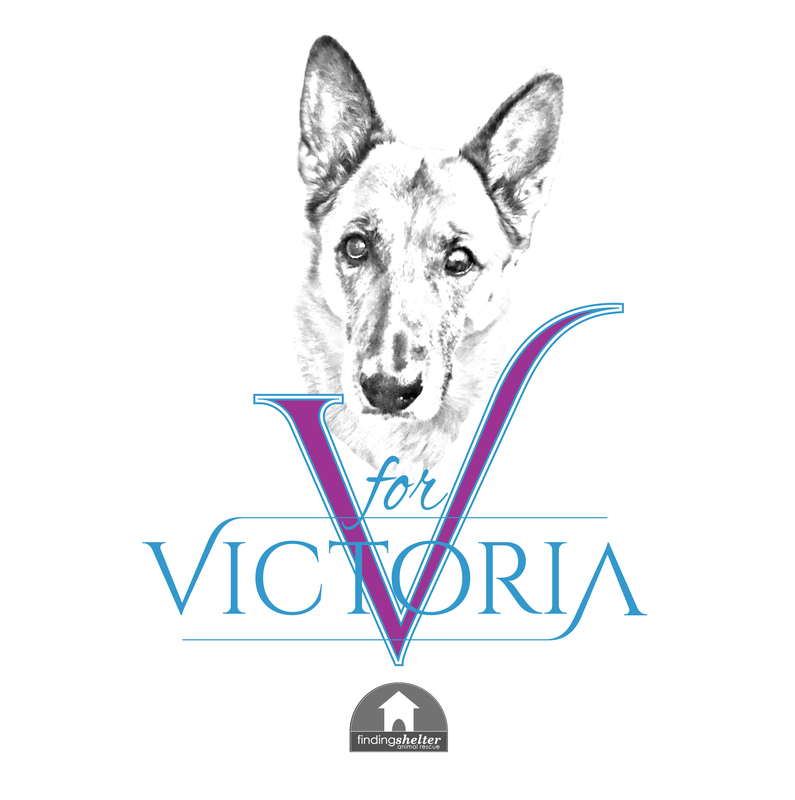 Victoria is a wonderful, beautiful and forgiving dog and her legacy will live on through Victoria’s Law. Pennsylvania residents, please contact your state senators and representatives to ask them to support Victoria’s Law so she can begin to leave her mark on this world as she begins to say farewell to the happy life she has finally found after so many long and difficult years. The two dogs were filthy, covered in fleas and petrified. Victoria was unable to walk as she was crammed into a tiny crate and it is unknown how long she had been sitting inside of it. She was growling, shaking and avoiding her human rescuers and her future was looking grim based on her physical appearance and immobility. She is blind in her left eye because she was bitten in the eye as a puppy from a littermate and never received any care to address it. She has an old injury on her right paw from when she allegedly had been run over by a mower. That injury also not medically treated leaving a deformity on her paw. The dogs were taken to Radnor Veterinary Hospital where world-renowned behaviorist Victoria Stilwell, PupAid founder Marc Abraham (Marc the Vet) and certified dog trainer Kelly Craig of The Distinguished Dog, carefully and kindly helped to get Victoria and Pippa into the hospital without incident as the dogs were petrified and needed experienced and compassionate handling. 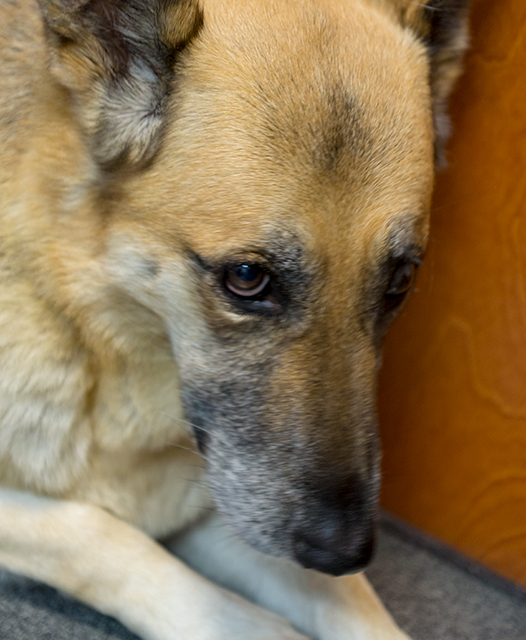 Victoria and Pippa were medically treated, and Victoria’s neurological symptoms were suspected to be Degenerative Myelopathy, a genetic disease in the spinal cord. A blood test confirmed the diagnosis. 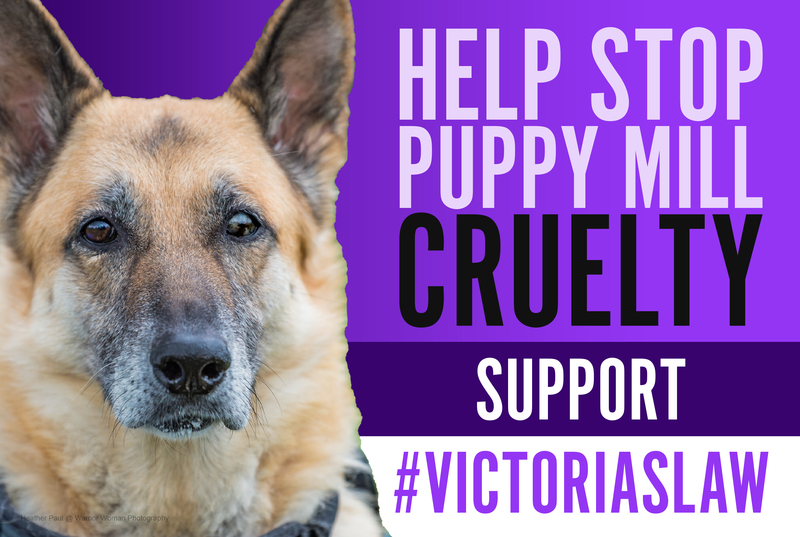 Not only does Victoria have DM for which there is no cure, but each one of her puppies sold throughout the years has the very strong likelihood of developing it. A foster or rescue was not able to be found for Victoria as not many people are willing to take on a 90lb hospice case with mobility issues who is shy and shut down. Thanks to help from the staff at Radnor Veterinary Hospital who patiently cared for Victoria for the first few weeks after her rescue, she began to trust and in that time found a foster family where she has been settling in for a few weeks and has bonded beautifully to them, even playing with toys for the first time in her life. 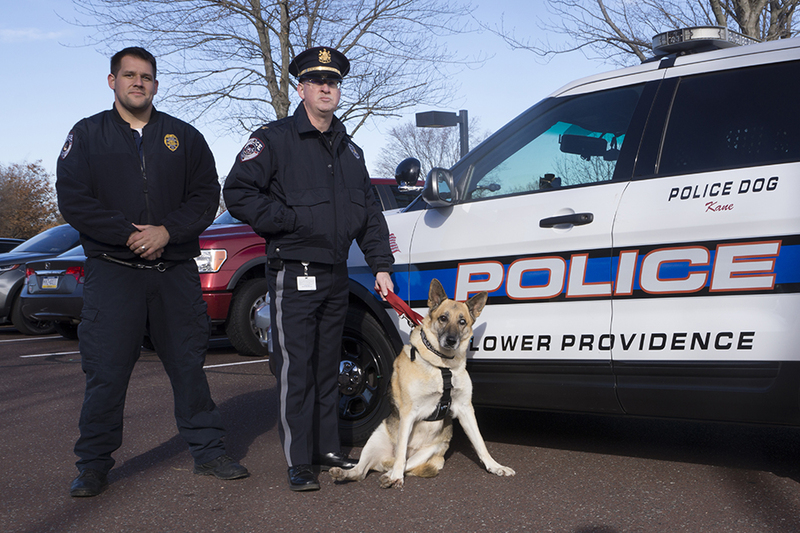 Victoria as K9 for a day thanks to the Lower Providence Police Department! Victoria as DJ for a day with WMGK’s The John DeBella Show! V For Victoria is not just a campaign to enrich Victoria’s life, but it is also aimed at bringing awareness to the ongoing puppy mill industry issues and atrocities. Victoria was relinquished from a legal, licensed breeding operation. Her very minimal requirements for care were met. The best way to stop puppy mills is to discontinue the demand for their product, their puppies. With no demand for their puppies, the puppy mills would not have consumers to keep their supply going. And ending third party sales like in pet stores and over the internet would drastically reduce outlets for which the puppies can be sold, also diminishing supply. Please follow Victoria’s journey, share her adventures and message and consider donating to help this wonderful, beautiful and forgiving dog as she begins to say farewell to the life she has finally found after so many long years. Click each link below to see more! Met PA Attorney General Josh Shapiro! Met Pennsylvania Governor Tom Wolf!